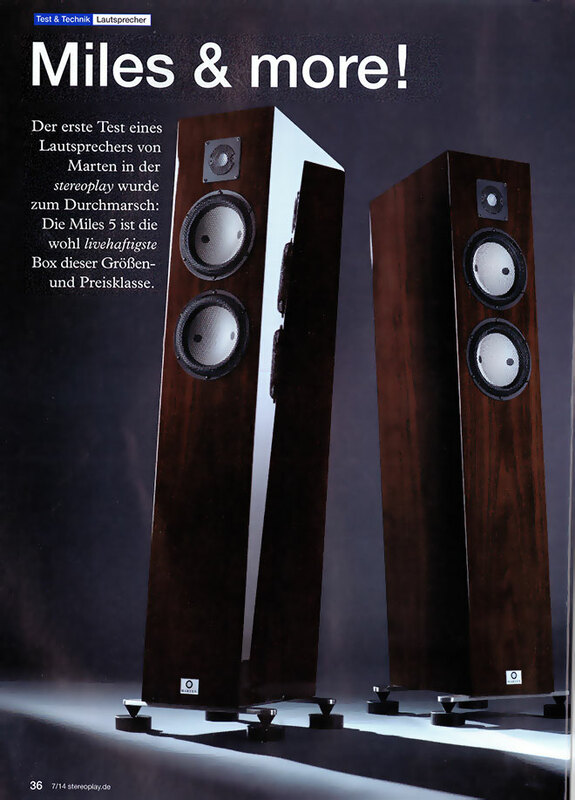 Marten Speakers » Blog Archive » Great review! The Miles 5 is presumably the most live-sounding speaker in this size! …and price range! The Miles 5 perfectly succeeds in creating unity. This is one of the nicest, most supreme, two-way loudspeaker in the absolute top class.